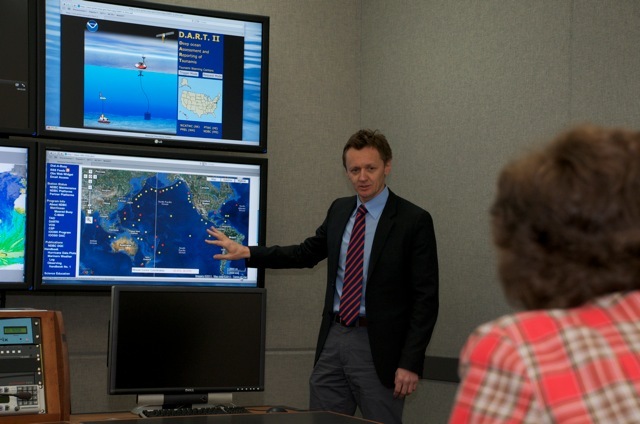 Vasily Titov has been the Pacific Marine Environmental Laboratory's senior tsunami modeler since 1997. He and other researchers at PMEL have been developing a NOAA operational tsunami forecast capability in the Pacific that utilizes available real time data from seismic stations, tsunami measuring buoys, and coastal water level gauges. For more about Dr. Titov, take a look at this profile.